Hotel was ideal for family, a lot of activities for children Nice beach and clean rooms. Food was good and varied but not tasty as I expected. The accommodations were comfortable, and the price was very good. The location right next to the Mediterranean was beautiful. Fabulous location and staff splendid. The most comfortable bed I've ever stayed in! This hotel was very nice. It offers free onsite parking and wifi. The check in process was easy. The room was spacious, comfortable, and clean. The restaurant at the hotel offered a very nice dinner buffet for a reasonable price and the wait staff were so attentive. Breakfast was included and it was great. There was a very nice view from the room. The beds were very cozy. Excellent hotel, actually the beach was not good because is not summer yet but when I was on summer was wonderful. This property was amazing, so clean, neat the beach, amazing staff!! Our stay was perfect. 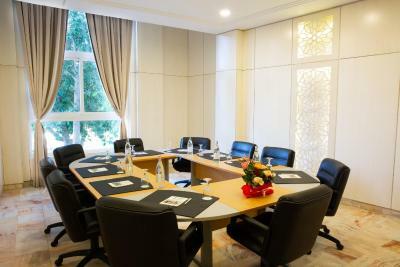 Marhaba Royal Salem - Family Only This rating is a reflection of how the property compares to the industry standard when it comes to price, facilities and services available. It's based on a self-evaluation by the property. Use this rating to help choose your stay! 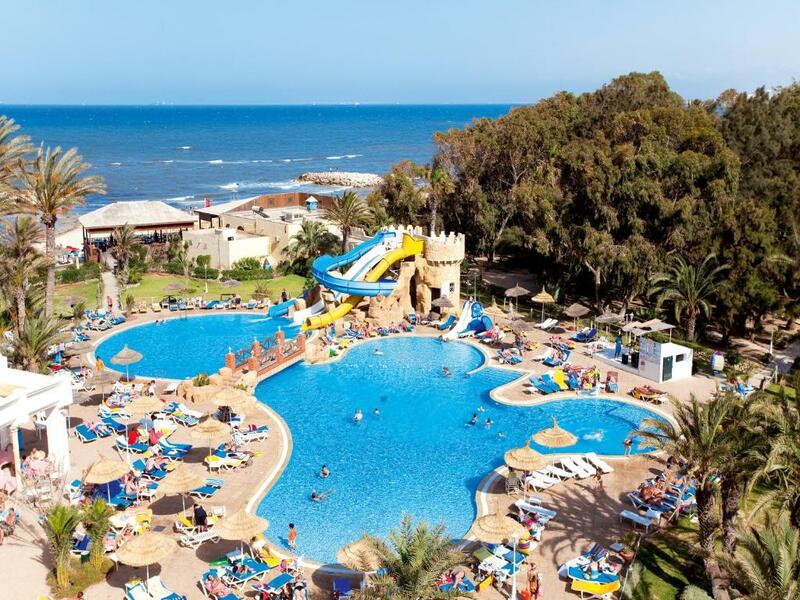 One of our top picks in Sousse.With its own private beach area and surrounded by 7 hectares of garden and forest, this hotel features 2 pools, a spa and several sports facilities. It offers air-conditioned rooms, Wi-Fi access and a beach-front BBQ. Each room at Marhaba Royal Salem has a balcony with a view of the surrounding area. All rooms include a satellite TV and an private bathroom with a bathtub and a hairdryer. 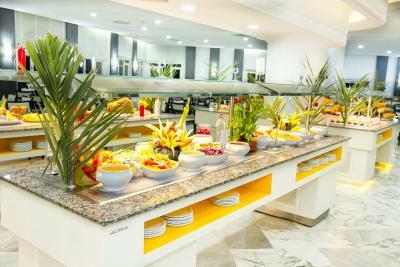 A breakfast buffet is on offer daily. 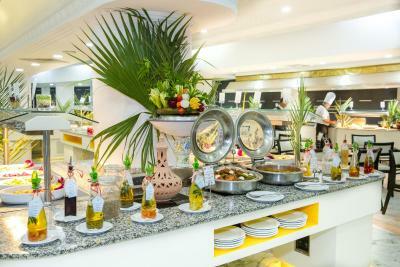 For other meals you can choose between the international restaurant and the restaurant serving local specialties. There is also a snack bar and a coffee shop. 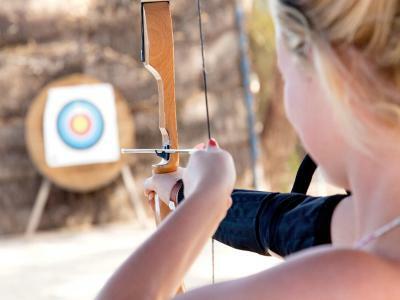 You can admire the panoramic views of Sousse Beach from a sun bed under a pergola on the terrace or try archery or petanque. There are also sports fields to play beach volley ball, hand ball and basket ball. This hotel, 12 mi from Monastir-Habib Bourguiba International Airport, is 10 minutes’ drive from Sousse’s Medina and archaeological museum. Beauty treatments and shuttle services are available at a surcharge. 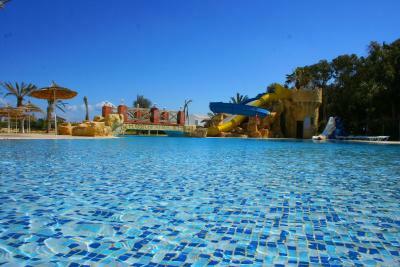 When would you like to stay at Marhaba Royal Salem - Family Only? This single room features a balcony, pool view and tile/marble floor. This triple room has a balcony, mini-bar and seating area. House Rules Marhaba Royal Salem - Family Only takes special requests – add in the next step! Marhaba Royal Salem - Family Only accepts these cards and reserves the right to temporarily hold an amount prior to arrival. Reception staff could have been a little more welcoming but they did make a little effort. Restaurant doesn’t give much meat options and certain waiters would hesitate to provide us with bottle water (they did eventually) but one waiter explained how hard it was to get bottled water. We paid for all inclusive but drink options were minimal too particularly as we don’t drink alcohol. Interior design could be a little updated. Couldn’t use the outdoor pool as the water was too cold for the weather. The heated indoor pool was always clean and opening times were flexible. The WiFi connection in the bedrooms were good and the view from the balcony was lovely. They provided us with an extra bed for our baby. The location of the hotel was not too far from attraction sites and entertainment is provided in the evenings. Overall the hotel is nice and tidy. Great to walk outside as they have footpaths/plenty of surrounding space leading to the beach which is a minute away. I could not receive the invoice for my stay even I paid to the hotel. they told me to receive it from Booking. The Wifi never worked in the room, they sent someone twice and he was really moody but it still never picked up. Food was rubbish. They need to find another chefs.. also if you not all inclusive, you cannot buy an alcoholic drink from the snack near the beach and the waiter was so rude and tell you that you are not allowed and go get a drink from reception which is miles away.. Not much communication in the hotel anout how u feel or what u like or not or what u wanna do... no variety in foods and not much choice.. Providing plastic spoons is very disrespectful for a 4* hotel.. Last thing is the hotel cannot provide enough beds round the beach sometimes.. Reception is not friendly. Pillows are very uncomfortable. Sharing swimming pool with guests from other salem hotels (very crowded) Sharing breakfast restaurant with guests from other hotels (crowded) All inclusive service should be more private and separate. Not confortable with kids. Professionnel staff. Very clean and big room. Excellent food. 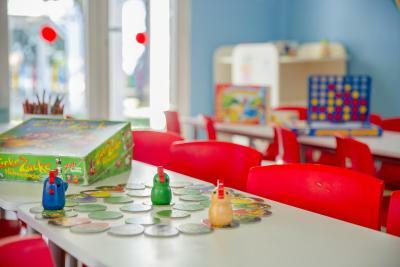 Ambiance and activities. I didn't like the pool with Toboggans, Chlorine level was extremely high and pool lounge chair were not enough regarding guests number. You have to get up early to reserve chairs. I didn't like the behavior of pool lifeguards as well, they reserve chairs for people who give them tips, and doesn't care about others. Limited number of Lounge chairs in the beach as well, I've seen people looking for chair the whole day. Animation team were not quite professional despite the hard work they are doing. I didn't feel myself very welcomed.